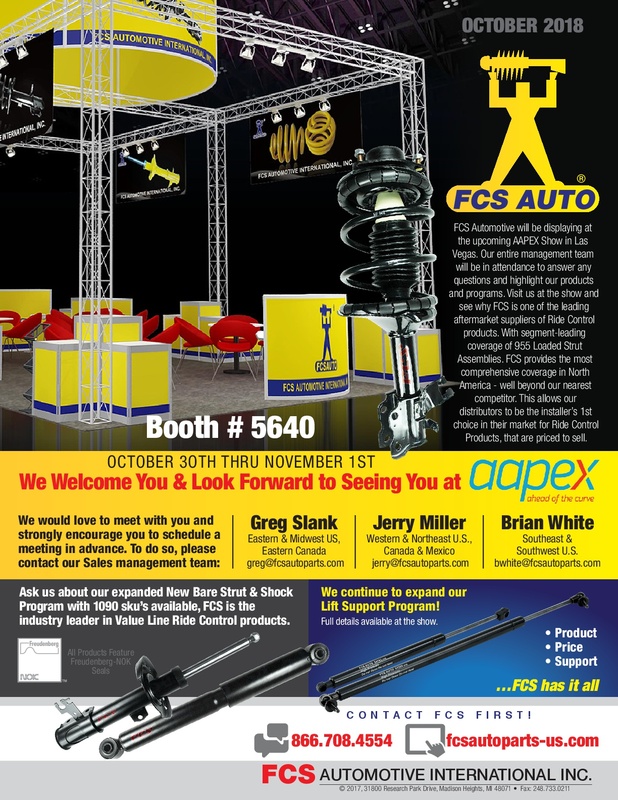 FCS Automotive will be displaying at the upcoming AAPEX Show in Las Vegas. Our entire management team will be in attendance to answer any questions and highlight our products and programs. Visit us at the show and see why FCS is one of the leading aftermarket suppliers of Ride Control products. With segment-leading coverage of 965 Loaded Strut Assemblies. FCS provides the most comprehensive coverage in North America – well beyond our nearest competitor. This allows our distributors to be the installer’s 1st choice in their market for Ride Control Products, that are priced to sell. Expanding Our Market Leading Coverage Again! Designed & Developed by Pro Management Inc.